Corey J. Jones was born August 11, 1974 to the union of Rev. Charlie Jones, Sr. and Betty Jones. Born in Long Beach, California, he resided there until 1977 when his family moved to Fort Worth, Texas. Corey graduated from Trimble Technical High School in 1992. In the late 1990’s Corey relocated to Columbus, Ohio. In February 2000 he met Jameilla Anderson at Club Neon / Fat Jack’s. The two wed on April 9, 2004. From the beginning of their union, Corey lovingly and willingly became daddy to three-year-old Daylashawn. At this time, he was also the proud papa to Daymyrin. In 2008, Corey, Jameilla, and the boys welcomed Emily into their hearts and home. Corey was employed by several different organizations until he found his niche working with adults who have developmental disabilities. First with Rescore from 2010 until his recent passing. One particular aspect of which Corey was extremely proud was how he began at Goodwill as a Direct Care Specialist, and then moved up to Site Coordinator, and finally to Program Manager. 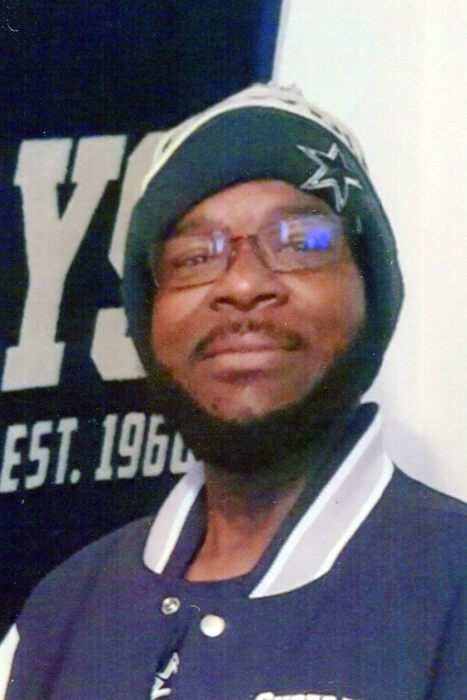 Corey loved cars, Marvel movies, his family, and “his” Dallas Cowboys. In his spare time, Corey enjoyed restoring cars. He was most recently restoring his two-door Tahoe. Corey was a big Marvel movie-head. In fact, his ticket for Avengers End Game, which will be released on April 26th, was purchased as soon as tickets were available. He also coached the Hilltop Cowboys. Speaking of Cowboys, Corey was a diehard Dallas Cowboys fan. His passion for sports led him to encourage his sons. Daymyrin received a full scholarship to play football at Ohio Dominican. In March 2019 Corey was able to witness Daymyrin place 7th in the state for wrestling. Daylashawn blessed his parents with two beautiful granddaughters. At age 5 and 3, Angelly and Journee already had “C-Paw” wrapped around their tiny fingers. One of Corey’s proudest moments was watching Tamiah graduate from high school in 2017. Corey and Jameilla loved to coordinate outfits for their bi-monthly date nights. Corey may be best known for his serious poker face and sarcastic mouth. One would never know when he was joking. Despite having survived a stroke in 2012, cancer in 2014, and beginning dialysis in 2016, Corey never complained. He made a full recovery from being paralyzed on the right side of his body, endured a great deal of pain, and yet did not let on that he was in pain. In the midst of his declining health, Corey’s family never lacked anything as he maintained his household. Suddenly, on April 7, 2019, at 12:52 P.M., two days before his 15th wedding anniversary, Corey was called home. He is preceded in death by his best friend, John Newcomb. Left to cherish Corey’s memory is his loving and devoted wife, Jameilla (who affectionately called him “Daddy”); children, Daylashawn, Daymyrin, Chenise, Tamiah, and Emily; parents, Rev. Charles Jones, Sr. and Betty Jones; brother, Charlie Jones; sister, Chinita Jones; grandchildren, Angelly and Journee (who affectionately called him “C-Paw”); and a whole host of uncles, aunts, nieces, nephews, cousins, and friends. Visitation 11:00 A.M. to 12:00 noon, Saturday, April 20, 2019 at Cook & Son-Pallay Funeral Home, 1631 Parsons Ave. where service will follow at 12:00 noon. Acknowledgements: The family of Corey J. Jones wishes to thank Pastor Andre Barksdale and the Transformation Church family, Pastor Lawrence Lundy and the Zion Life Ministries family, Cook & Son-Pallay Funeral Home, Barack Recreation Center, and all friends who brought food, prayed, and showed us love during our time of bereavement.